While not all of the following carpet warranty limitations are included in every carpet warranty, many of these or similar limitations are found in a variety of carpet performance warranties. Most carpet warranties are crammed full of weasel (escape) clauses known as limitations. While most of these clauses make sense, the consumer should have the opportunity of knowing about them prior to making the purchase. Only first quality carpet is covered (No irregulars or seconds). Fiber manufacturers only cover carpets that use their yarn system and meet their performance specifications. Residential carpets used for commercial use are not covered. Rental units are often excluded. Damage from abnormal use such as water damage, plumbing (call a licensed plumber), storm or flood, damage from smoke or fire, damage from improper cleaning methods or materials, and from improper maintenance. Carpet appearance unless specifically covered in the warranty is excluded. Appearance includes but is not limited to changes from wear, matting, crushing, shading, loss of texture, tears, pulls, cuts, pilling, shedding, fuzzing, pets, burns, furniture indentations, improper installation, defective carpet manufacture, improper cleaning materials or methods. Repairs or replacements are limited to the affected area of the carpet. Required replacement is limited to the affected area of the carpet, which will mean the room where the defect or problem exists and only extending to a point such as the nearest wall, doorway or entrance. If the identical carpet is not available the replacement is limited to a carpet of comparable cost, quality and sometimes color. The fiber or carpet manufacturer will only pay for the carpet. Some will pay for the removal of the old carpet and installation of the new carpet. Generally excluded on a replacement are moving or replacing equipment, furnishings, partitions, etc. 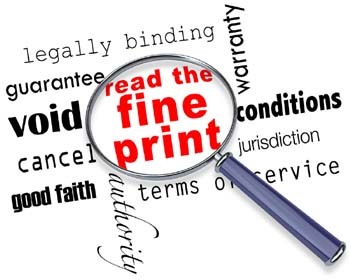 To qualify for repair or replacement, the consumer may be asked to provide the original sales receipt or other documentation showing proof of purchase and installation dates. This information must be acceptable to the manufacturer. Some warranties are not transferred and some warranties are transferable only in owner-occupied residences. Many warranties are prorated over a specific period of time with only the carpet covered and the installation, pad and maintenance cost excluded. Commercial Warranties will cover similar carpet warranty limitations to those of residential warranties and should be studied carefully by all involved.